To provide operators of forklift trucks who have received formal training and are in possession of a Certificate of Basic Training, and to update existing knowledge and skills to safely and efficiently carry out their duties on a different machine. To provide semi-skilled operators of forklift trucks who have received formal training and are in possession of a Certificate of Basic Training, and to update existing knowledge and skills to safely and efficiently carry out their duties on a different machine, i.e. B1 to B2 or B2 to B3. A written multiple-choice questionnaire and practical test must be completed satisfactorily to qualify for Certificate of Basic Training. A 1-day course is available for operators who require a re-test or familiarisation for a different machine. 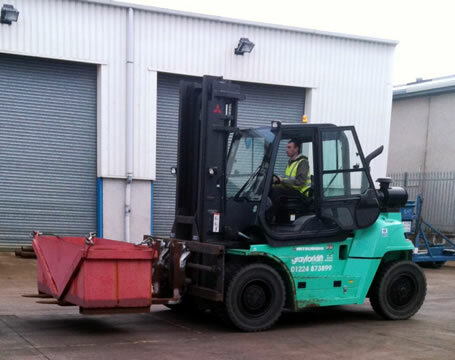 Accredited forklift training now requires all candidates to be registered with a governing body. This is required for companies whose forklift operators work on their own and clients sites and require a national certificate. Evolve Training will register all our candidates with ITSSAR under the TOPS (Trained Operator Passport Scheme). ITSSAR TOPS Registration costs £10.00 plus VAT per candidate and this included in the price of the training.